The Caliphate City of Medina Azahara, a new UNESCO World Heritage Site, dates back to the mid-10th century, when it served as the seat of power for the Umayyad dynasty in Córdoba. When the caliphate ended after a civil war in 1010, the city was laid to waste and forgotten until its rediscovery in the early 20th century. There’s no better place to learn about Spain’s medieval caliphate than the ruins of this royal Moorish city, a popular excursion from nearby Córdoba. During a typical tour of the grounds, visitors explore the remains of palaces, ceremonial halls, mosques, and workshops that make up the largest archaeological site in Spain. An on-site museum and interpretation center showcase artifacts from the excavated site. 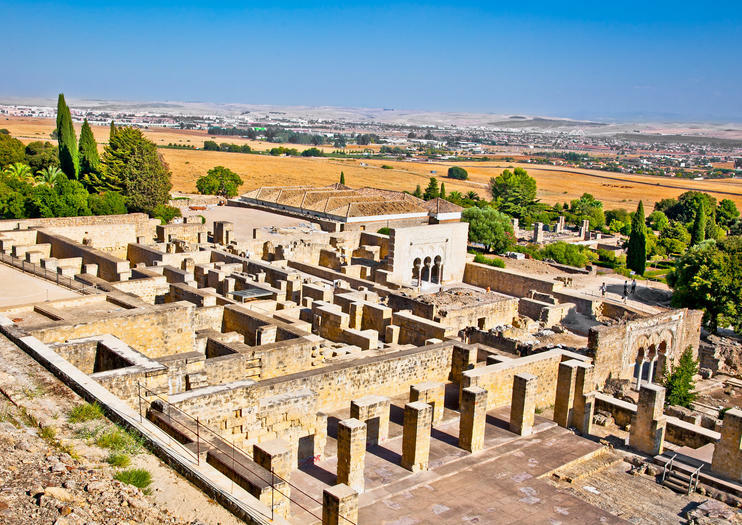 The Medina Azahara is a must-visit for history buffs and those interested in Spain’s Moorish past. Don’t forget to bring sunscreen, sunglasses, and a hat; not all areas of the site are shaded. Give yourself two to three hours to explore the museum and archaeological site. To get to the interpretive center, catch a public bus from Avenida Alcazar in the Córdoba city center, or drive along the A-431 motorway. A shuttle takes visitors from the parking lot and interpretive center to the archaeological site itself, situated a couple of miles away. The museum and archaeological site are open from Tuesday to Sunday throughout the year, with extended hours during high season (April through June). Expect temperatures as high as 100°F (38°C) during July and August. This Moorish city was built on a gentle hill in three tiers, each with its own purpose. On the lowest level, you’ll find the mosque and homes of much of the city’s population. Many of these structures remain unexcavated. The second level comprised government buildings and a public garden. The top level—and the level with the best views—was the royal palace and residence of Abd ar-Rahman III. Rejse til hjertet af Spaniens middelalderlige kalifat på denne 3-timers tur til Medina Azahara fra Córdoba. Fra det 10. århundrede, hvor Spanien var under arabisk muslimsk regel, indeholder det arkæologiske område ruinerne af en kongelig maurisk by. Tag en guidet 90 minutters vandretur for at lære om Medina Azaharas fascinerende historie og se rester af moskeer, ceremonielle haller, paladser og workshops. Besøg museet på stedet og se en video for at dykke endnu dybere ind i områdets gamle historier. Se det bedste af Cordoba på denne 2-dages tur fra Sevilla, som inkluderer adgang til Cordoba Synagogue, Christian Kings Alcazar og den iøjnefaldende katedral-moske i Mezquita. Du vil også opdage timeworn jødiske kvarter og Medina Azahara på en guidet vandretur, og tag i udsigten fra bakketop byen Carmona. Overnatning i et 3- eller 4-stjernet hotel er inkluderet, ligesom det er tur-retur hotel transport. Nyd denne helt private og personlige tur og kendskab til, under den første del af turen, en af ​​de bedst bevarede arkæologiske steder i hele Spanien: Medina Azahara.  Du vil nyde at opdage dette sted med din private officielle tour guide. Efter 3,5 timer vil du være tilbage i Cordoba, hvor du vil have lidt tid til at spise noget, og derefter vil du nyde et 2,25 timers besøg i centrum af den gamle by Cordoba. Nyd denne helt private tur og lær at kende en af ​​de bedst bevarede arkæologiske steder i hele Spanien: Medina Azahara. Kom og besøg dette historiske sted i dit private luksusbil, med en privat driver og en privat officiel tour guide, der vil belyse dig med historien og hemmelighederne på dette fantastiske sted fra det 9. århundrede.